There are several types of heating systems available for homeowners, and each uses their own approach to heating the home. Ductless heat pumps, hybrid heaters, gas furnaces, traditional heat pumps… With that much variation, they can’t all possibly satisfy every individual homeowner’s needs and preferences. 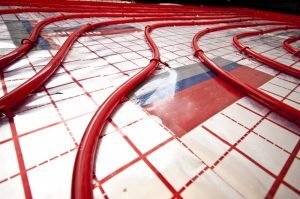 However, many homeowners do agree that radiant heating systems offer unmatched heating—in both efficiency and comfort. 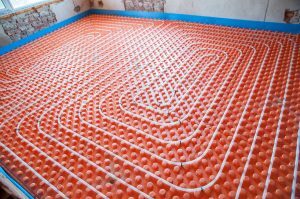 Below are some of the reasons why that might be, along with a quick rundown on what makes radiant heating systems unique. Winter means cold temperatures, and this year looks to be one of the coldest on record. A quality heating system is an absolute must for every household in the area. However, while many homes in the area use stand-by systems like forced-air furnaces and boilers, they’re not the only systems available. Few people consider such alternatives, but while furnaces and boilers are inexpensive and effective, they don’t always make a good fit for every home. An understanding of other options can be extremely helpful when the time comes to install a new heating system in the home.